Shipping & Returns : Essential Trading Post, Scenting the World with Oils! 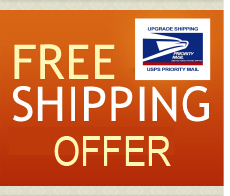 FREE Shipping on orders totaling $75 within United States only. Please review the shipping charge to your particular destination Large International orders will be invoiced shipping charges seperately after the order has been placed. Returned items for exchanges on products are not offered and will be refunded back to the payment account. Refunds are offered on item cost only within 30 days of receipt. Opened oils with broken seals are not subject to a refund. Shipping charges are not refundable. For further information please do contact us.